On May 30th, 2015 TKMT hosted THE NIGHT OF CHAMPIONS! This show featured a Provincial Women’s Muay Thai 54 KG Title! 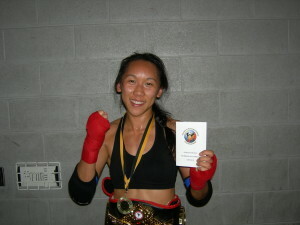 Congratulations to the Women’s WKF Ontario Provincial Muay Thai Champion at 54 KG Kerrie Chen from South Side Muay Thai!